"What art offers is space. . . a certain breathing room for the spirit." 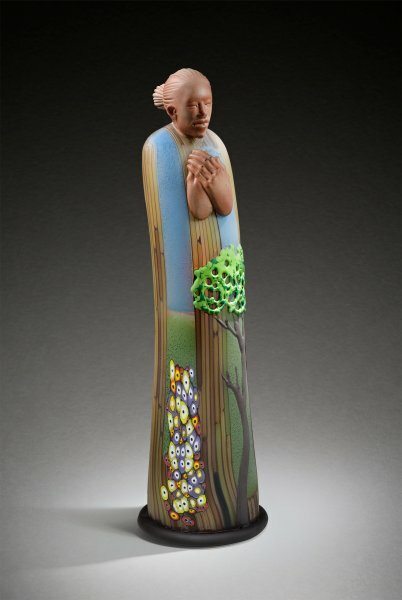 This earlier piece by Lino combines all of the elements that have led to the maestro being considered the world’s greatest living glassblower: exquisite use of color, multiple styles of surface cutting and outstanding cane work. The simplicity of its form allows us to focus even more on the intricacies of the glass. 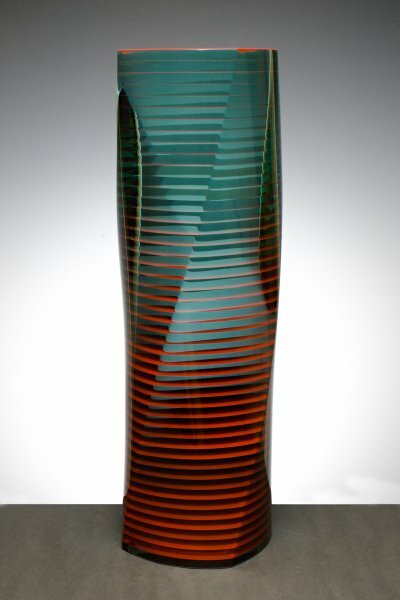 This new glass sculpture by Wesley Neal Rasko is both understated and at the same time highly sophisticated. The multiple layers of horizontal glass with their subtle curving effect gives this piece an architectural quality that I love. The subdued combination of colors adds to the quiet drama of this piece. This new piece by Ross Richmond has a serene, meditative, almost prayerful feeling to it. The female figure seems to be lost in her own private reverie and we, the observers, are left, as the title suggests, on the outside looking in. The flock of brightly colored small murini adds quite a dramatic touch to the otherwise quietly dignified tone of the sculpture. Dale Chihuly’s Studio Editions from both 2017 and 2016 are still available. For many collectors the name Dale Chihuly conjures up images of much larger sculptures or perhaps installations such as his Chandeliers or Persian Walls. I love that Dale has made these smaller versions of his best known series available to a much larger audience. Please contact me for further information. Atlantis Persian, 8" x 10" x 10"
Rose Blush Macchia, 6" x 9" x 9"
Golden Topaz Basket, 8" x 7" x 9"
Byzantine Blue Persian, 7" x 10" x 10"
Thank you for taking some time to enjoy the beauty and richness of these glass sculptures. 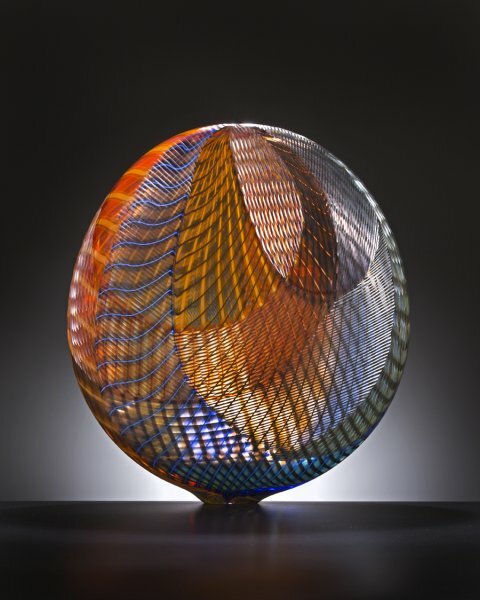 I am always amazed at the diversity of styles, techniques and statements we see in contemporary glass art. Take care and stay in touch.